We may best remember Robin Williams for his iconic film roles, but some of the most memorable moments from Williams' career actually happened on TV. And as it turns out, Robin Williams was Emmy Awards veteran with more than a few nominations. And why wouldn't he be? His portrayal of the lovable alien Mork on Happy Days and later on his own spin-off Mork & Mindy jumpstarted Williams' career. We saw Williams give one of his best improvisational performances during a 2001 episode of Inside the Actors Studio. One of his final roles before his death was as the lead on the CBS sitcom The Crazy Ones. Williams won plenty of acclaim and awards during his career. This included an Academy Award for his role in Good Will Hunting and four Golden Globes for his roles in Mork & Mindy, Good Morning, Vietnam, The Fisher King, and Mrs. Doubtfire. But has he ever actually won TV's highest honor? Yep. Williams has been honored at the Primetime Emmy Awards not for his acting — which he will perhaps best be remembered for — but for his stand-up, sketch, and improvisational comedy. He took home the award for "Outstanding Individual Performance In A Variety Or Music Program" in 1987 and 1988 for his performances in A Carol Burnett Special: Carol, Carl, Whoopi & Robin and ABC Presents a Royal Gala, respectively. In Carol, Carl, Whoopi & Robin, Williams starred alongside fellow comedy legends Carol Burnett, Carl Reiner, and Whoopi Goldberg for an hour of comedy and music. In the below sketch titled "The Funeral," which is almost too difficult to watch at a time like this, Williams brought his classic weird brand of comedy as an overzealous funeral mourner. His performance is even more hilarious when he decides to do the scene opposite Burnett again, this time almost completely improvising. Williams went solo for his performance in ABC Presents a Royal Gala, a concert special taped at the London Palladium. He riffed on the wealth of the royals in the room, which included Prince Charles and Princess Diana, and comically analyzed the differences between Brits and Americans. Because this award honors performances in variety shows, it obviously favors comedians and musicians. You might be unfamiliar with this category because it hasn't always been given out at the televised Emmy Awards. It was first awarded in 1983 to opera singer Leontyne Price for her special at Lincoln Center, and the last time someone won this award was in 2008 when Don Rickles received it for the HBO documentary Mr. Warmth: The Don Rickles Project. Aside from Williams' Emmy wins, he has been nominated seven times, including "Outstanding Lead Actor in a Comedy Series" for Mork & Mindy in 1979, "Outstanding Guest Actor in a Drama Series" for Law & Order: Special Victims Unit in 2008, and "Outstanding Variety, Music or Comedy Special" for his HBO stand-up special Weapons of Self Destruction in 2010. 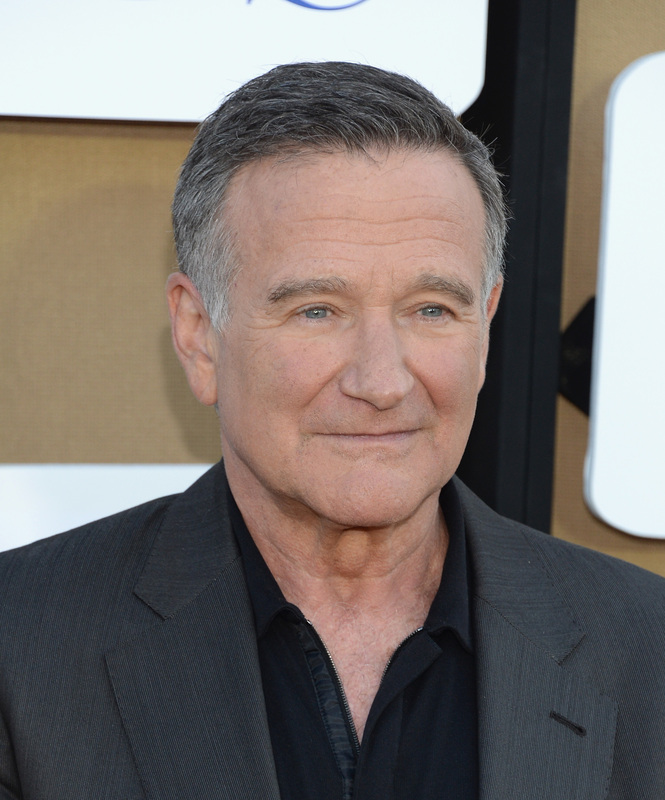 The 2014 Primetime Emmy Awards will pay tribute to Williams during its telecast on August 25 in a segment led by his good friend and Comic Relief co-host Billy Crystal. There's no venue more appropriate than the Emmys to celebrate the life of Williams, because TV was and always will be his home.